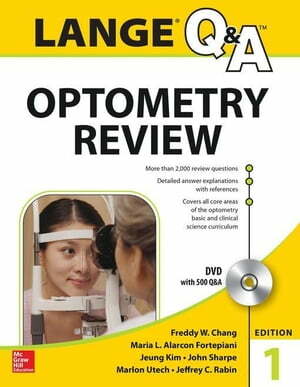 Collins Booksellers - Lange Q&A Optometry Review: Basic and Clinical Sciences by Chang, Freddy W., 9780071813556. Buy this book online. Optometry Review: Basic and Clinical Sciences provides a complete review of the fundamental basic and clinical science concepts students need to know to excel on optometry exams. This rigorous review includes more than 1,600 exam-style Q&A with detailed answer explanations. The companion DVD adds an additional 500 questions not found in the book and enables students to create custom exams and keep track of their scores.